Jin-kyung Lee received her B. A. from Cornell University and her Ph. D. from UCLA in Comparative Literature. 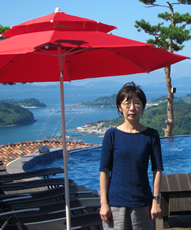 Her research interests include nationalist culture and politics of the colonial era, militarism and development in post-colonial South Korea, representations of gender and ethnicity, Asian labor migration in South Korea and Korean diaspora. "Autonomous Aesthetics and Autonomous Subjectivity: Construction ofModern Literature as a Site of Social Reforms and Nation-Building inColonial Korea, 1915-1925." Ph.D. diss., University of California, LosAngeles, 2000.